If you are concerned about keeping your home warm through the winter months, look into installing a new furnace now. The extreme cold temperatures put a strain on HVAC units that will put a dent in your budget. 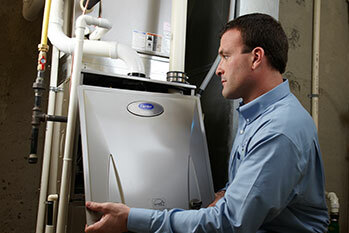 A new furnace installation could be the answer to whatever heating problem you face this season. G&M furnaces provide the highest quality indoor temperature control and premium comfort all year round, keeping your family cozy in the fall and winter. As with most heating systems, the initial investment on a furnace is going to be the biggest expense. Don’t be tempted to cut additional costs by having an inexperienced technician install your system. This is a recipe for disaster! A professional crew is the only way to ensure you get the job done right and don’t have additional expenses from poor installation. G&M proudly offers furnaces to fit whatever needs our customers have, based on budget, usage, and other factors. Our technicians handle the installation process with professionalism, relying on years of combined experience to get you started on the right foot. 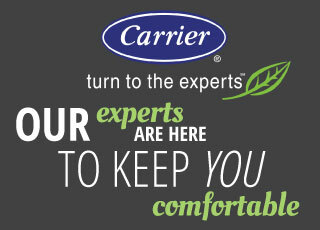 As leaders in the HVAC industry, our experts know everything about furnaces. G&M offers furnaces from Carrier and other leading brands and will happily help you pick the perfect model to meet your needs. Whether you are in Raleigh or the surrounding area, you can rely on G&M to provide the best service, products, and guidance with any heating or cooling decision. With us, you won’t make a bad investment. Our technicians will connect you with the highest-quality furnaces and provide professional installation, repair, and maintenance. Call us today at 919-772-8820 to learn more about the furnaces we carry and the services we offer to keep your system running optimally.